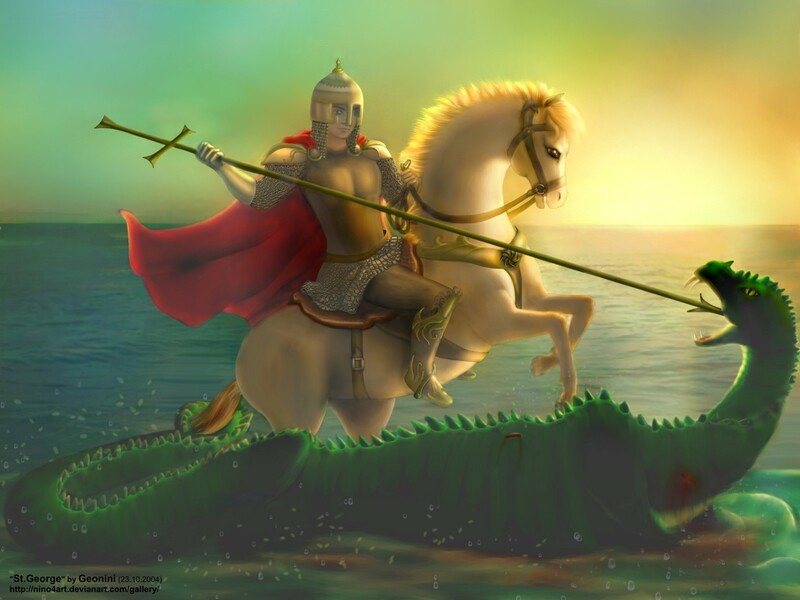 Pictures of St. George usually depict him killing a dragon to rescue a beautiful lady. The dragon stands for wickedness. The lady stands for God's holy truth. St. George was a brave martyr who was victorious over the devil. Legend has it that he was a soldier in the army of the Roman Emperor Diocletian, and he was one of the Emperor's favorite soldiers. Now Diocletian was a pagan and a bitter enemy to the Christians. He put to death every Christian he could find. George was a brave Christian, a real soldier of Christ. Without fear, he went to the Emperor and sternly scolded him for being so cruel. Then he gave up his position in the Roman army. For this he was tortured in many terrible ways and finally beheaded. So boldy daring and so cheerful was St. George in declaring his faith and in dying for it that Christians felt courage when they heard about it. Many songs and poems are written about this martyr. Soldiers, especailly, have always been devoted to him. We all have some "dragon" we have to conquer. It might be pride, or anger, or laziness, or greediness, or something else. Let us make sure we fight against these "dragons," with God's help. Then we can call ourselves real soldiers of Christ! 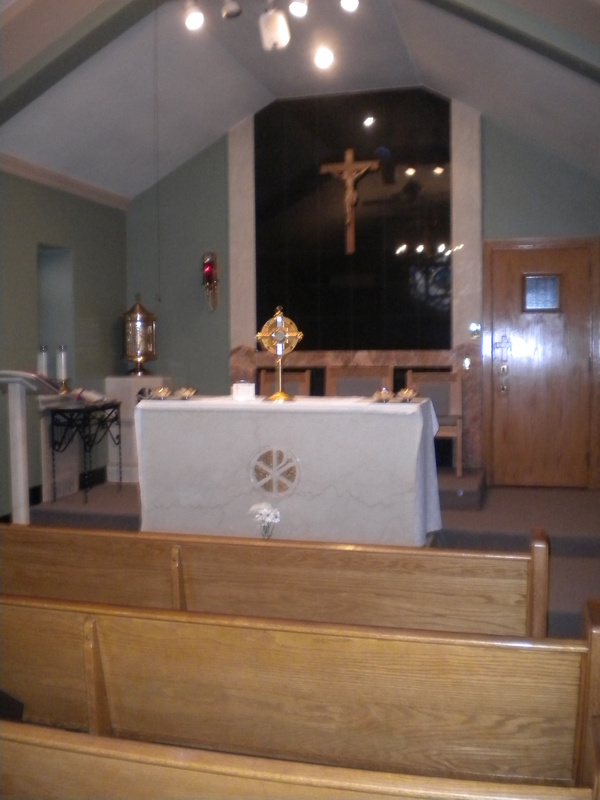 Saint George Parish Communuity: The heart of the martyr a flame with the Spirit.